Stress. Work. Anxiety. Stress. Work. Anxiety. Repeat. Does that sound like your life? Well, it doesn’t have to be that way. 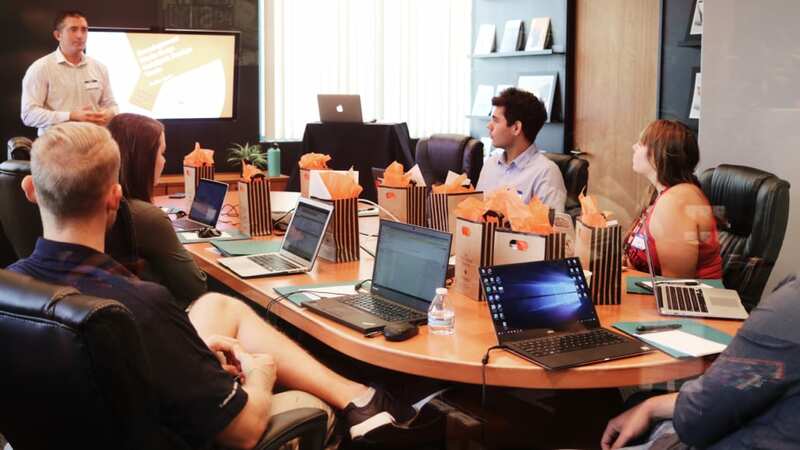 As purveyor’s of relaxation, we’re all about enjoying your workday with less anxiety and less stress. And, we know how you can do it with daily hot tub soaks. 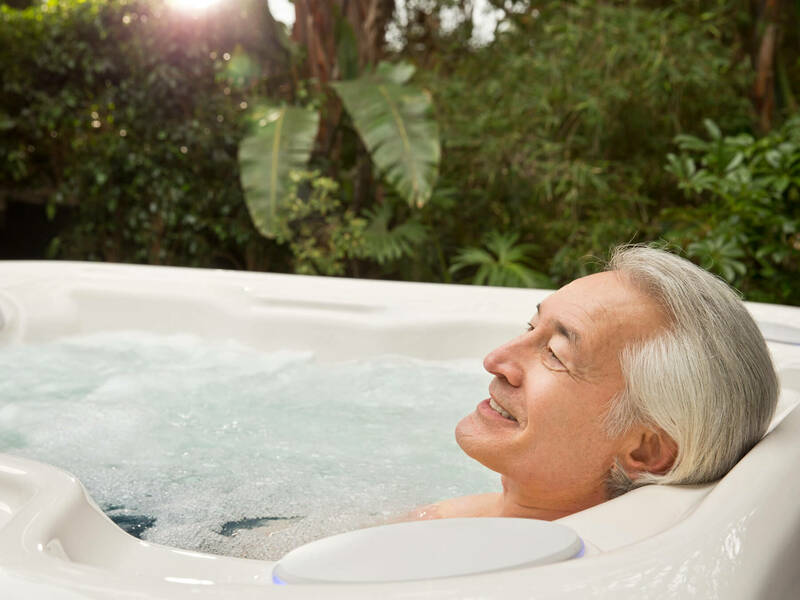 By spending just a few minutes in a hot tub each day, you’ll improve your work-life balance and feel better everyday. Let’s look at how a hot tub helps you work better and stress less. 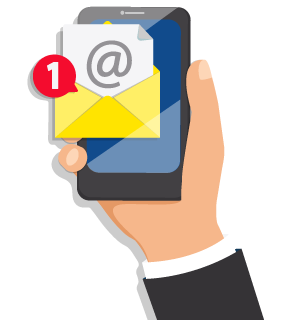 If you’re like many people, you get up, work out, get ready for work, get the kids off to school, grab a coffee, work all day, take the kids to activities, rush through dinner, put the kids to bed, check your email, and finally crash. That is stressful enough just to type. It can be hard to have a positive outlook with so much anxiety and stress as well as extra busyness. 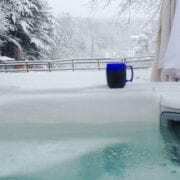 You can tone it all down by taking 15 minutes to yourself either in the morning or evening to soak in the warm water massage of your own hot tub. 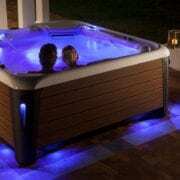 Regular hot tub use can help you have a more positive outlook on life, therefore reducing stress. Did you know that regularly soaking in a hot tub can give you more energy. This is because hot tub soaking is refreshing. When you soak in your spa, you improve your blood circulation and muscle recovery. As you increase your blood circulation, your muscles are work more efficiently. 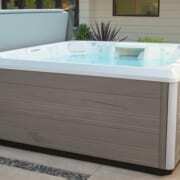 What’s more, hot tubs relieve sore muscles, making you feel better and more able to move around. Stress and anxiety can deplete your ability to concentrate because your mind is going in a million different directions. Ongoing, chronic stress can cause a myriad of health problems. These could be life-changers if not attended to. If you have less stress in your life, you are more able to concentrate. This means you’ll have a better day at work, and your boss is more likely to approve of your work product. In addition, if you’re reducing stress, you have more time to concentrate on your family when you get home. You will work better better, be happier, and stress less when you add a hot tub to your life. If you leave your stress unchecked, you’ll find work hard, and it can damage your body and put you at risk for many illnesses. Hot tubs can help you work better, fight stress, and lead a more well-rounded life. It’s a great time to think about a hot tub.